This is sooooo EXCITING!! My very first giveaway! "So jealous of your organized, clean, and beautiful work space!! You've definately utilized every inch of space, haven't you? :-)"
so they're quick at hand! so I can get your prize sent out right away. Thank you to everyone who participated in my first giveaway. :-) YAY!! 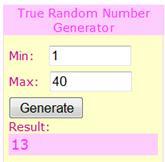 My first blog giveaway win!! I just emailed you! Thanks, Cricut Chick!